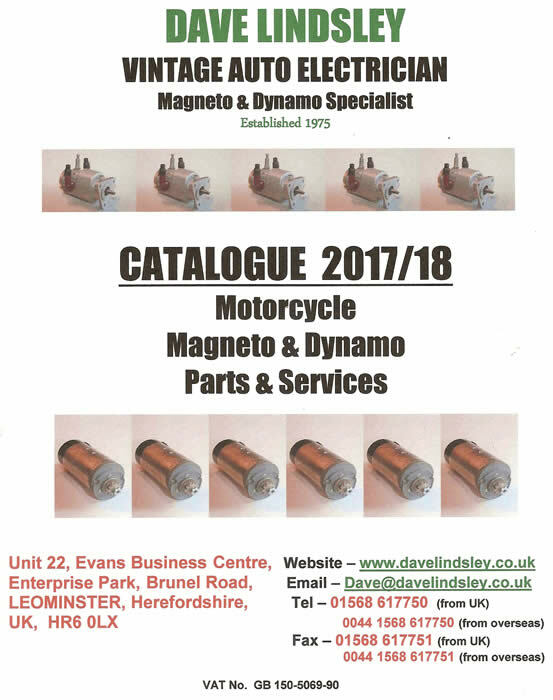 We are able to supply an extensive range of parts for Magnetos and Dynamos as fitted toVeteran, Vintage & Classic Motorcycles. Click the image to download the Catalogue. Our parts for Veteran, Vintage & Classic Motorcycles are listed in the downloadable Parts Catalogue, which includes a Price List, Order Form, despatch information and details of how to pay. You can print out all or part of this Catalogue - especially useful for the Order Form on page 12.